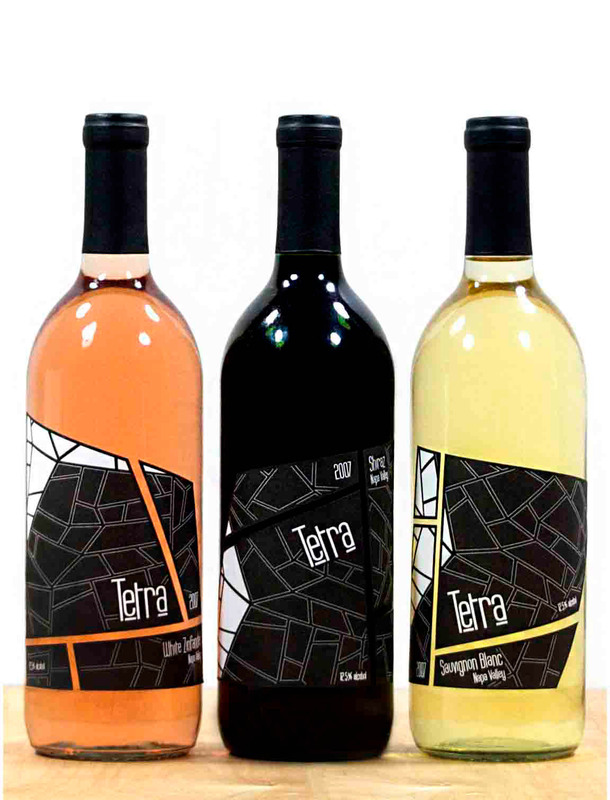 Tetra is a trio of wines made from a fusion of four varietals from four different vineyards in Napa Valley. The labels are broken into four parts, symbolizing the four vineyards. Simple sans serif typography suggests a minimal but playful style. 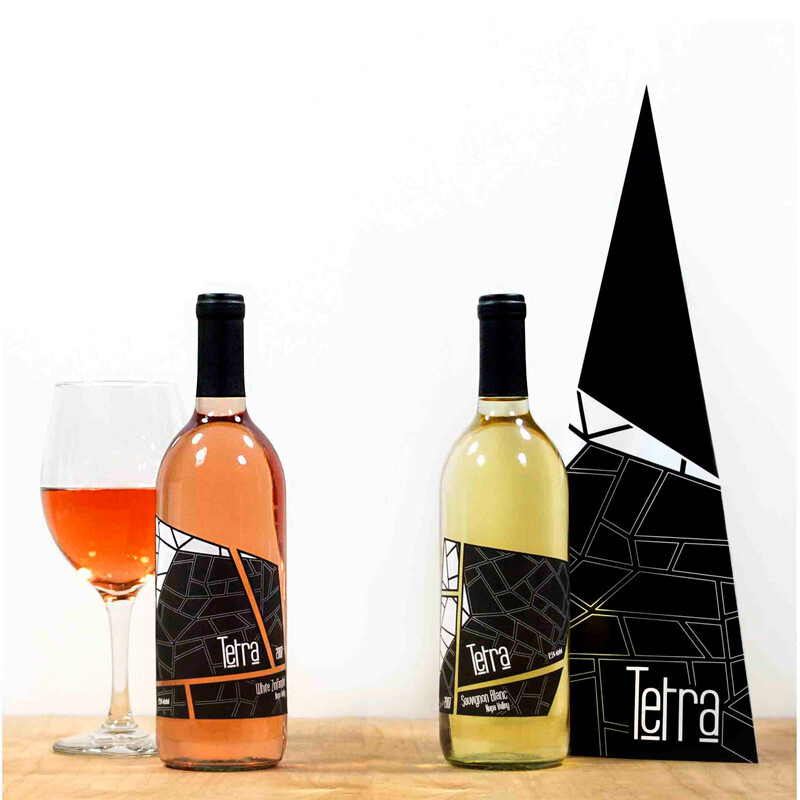 A tetrahedron wine box was created to further enforce the overall concept.